Happy Wedding Cake Wednesday! Today's cake from the bakery team at Aulani proves that island time is as sweet as can be. 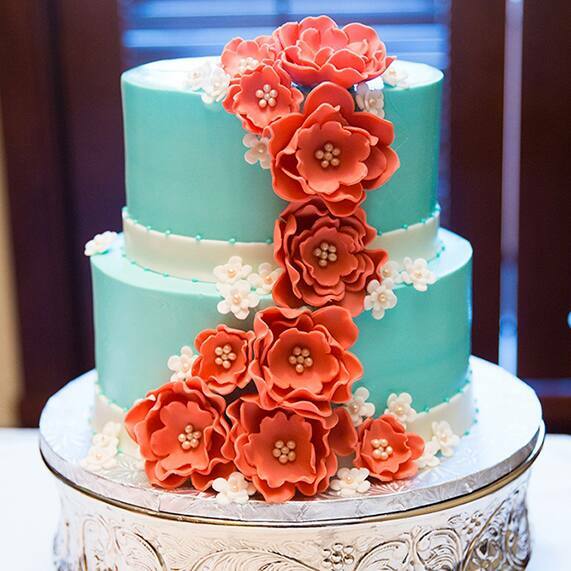 This tiered treat features sugar floral with pearl accents against a canvas of elegant blue fondant nestled upon a sterling silver cake stand.